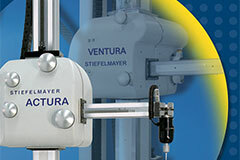 The flexible entry-level CMM for many applications. Versatile CMM in manual, motorized and CNC version. Very robust and perfect for flush-to-floor installations. Measuring and milling in modelling and design.